The office of Information Technology Services focuses on advancing education for students, faculty and staff by planning, implementing and supporting technology. Information Technology Services assists Point Park University students, faculty and staff in meeting their educational and administrative goals by providing a full range of technology resources. For more details, visit our technology resources page. Point Park University is a state-of-the-art campus equipped with the latest computer systems, software packages, and high-speed wired and wireless internet access across campus, including all residence halls. The University is continuously evolving to keep up with the latest technologies. Point Park University's recently updated web portal, PointWeb, allows students to access to grades, unofficial transcripts, financial aid information, account balances, and online payment options. It also provides quick links to campus resources and events, and provides students with an online personal calendar. University faculty use PointWeb for grading, student advising and more. New students and other users may use their PointWeb account to learn more about PointWeb. 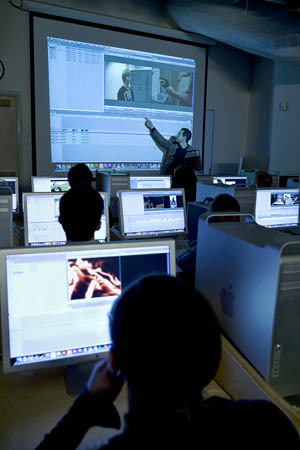 Students, Staff, and Faculty are eligible for numerous technology offerings, including FREE Microsoft Office 365 and educational pricing on Apple and Lenovo computers. Educational pricing is also available for select software packages. The Point Park Intranet is the primary information hub for University staff and faculty members. The Intranet has been designed as a secure portal that Point Park employees may access using their Point Park Domain Account.